Start off your visit on the 29th (Wed): appreciate the history behind Oklahoma City National Memorial & Museum, get a new perspective on nature at Museum of Osteology, and then appreciate the history behind Centennial Land Run Monument. Here are some ideas for day two: admire the masterpieces at National Cowboy & Western Heritage Museum and then get curious at Science Museum Oklahoma. For where to stay, other places to visit, more things to do, and tourist information, use the Oklahoma City road trip planning app . Kyle to Oklahoma City is an approximately 4-hour flight. You can also drive. Expect little chillier temperatures when traveling from Kyle in May; daily highs in Oklahoma City reach 79°F and lows reach 57°F. Wrap up your sightseeing on the 30th (Thu) to allow time to travel to Columbus. Columbus is a city in and the county seat of Platte County, in the state of Nebraska in the Midwestern United States. Family-friendly places like Audubon Rowe Sanctuary and Willow Creek Recreation Area will thrill your kids. Let the collections at Great Platte River Road Archway Monument and Ashfall Fossil Beds State Historical Park capture your imagination. 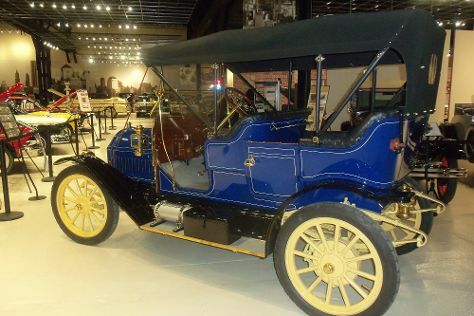 Explore the numerous day-trip ideas around Columbus: Kearney (Classic Car Collection, Stagecoach, & more), Pioneer Village (in Minden) and Saunders County Museum (in Wahoo). There's still lots to do: learn more about the world around you at Hastings Museum, examine the collection at Lee's Legendary Marbles and Collectibles, and get engrossed in the history at The Plainsman Museum. To see where to stay, maps, traveler tips, and more tourist information, you can read our Columbus trip planner . Use the Route module to find suitable travel options from Oklahoma City to Columbus. In May, Columbus is slightly colder than Oklahoma City - with highs of 71°F and lows of 49°F. Finish your sightseeing early on the 5th (Wed) so you can travel back home.